Are you tired of describing your heroine as kind, pretty and nice? Have you mulled over every synonym of darkness only to be stuck on black? Would perusing descriptive metaphors and similes inspire your creative process? For a free trial, download Spice. Functions as a MAC and PC app. Insert interactive graphs and timelines directly into your document. Add citations automatically in MLA, APA, or Chicago. 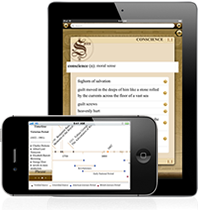 Includes interactive graphs and timelines tracking the cumulative usage of each phrase! We need new phrases for Spice. Dust off your notebooks, journals and books. Sell phrases today! Spice is designed to enhance your creative process. Select the product best suited to your needs, download the application, and sign up for a subscription. Annual subscriptions are available here. Please Select... What street did you grow up on? What is the name of your favorite teacher? What is the name of your elementary school? What is your pet's name? What is your favorite song? Please Select... Where was your first kiss? What is your favorite dessert? What was the make of your first car? What is the name of your first boyfriend or girlfriend? What is your favorite childhood toy? We have sent your login information. Please check your email shortly.